We have a profession team for design, technology, and quality control. Good quality : We have passed BSCI certificate and all products meet CE and RoHS. Price : We provide best quality products with reasonable prices. Q:Could you offer free laser flashlight samples9 A:Sure. We can provide laser flashlight sample for free. The clients need to cover the freight cost. INSPECTION Our QC department will provide the virtual inspection report before delivery. Our tried and true guarantee is that you never risk a penny with First Pen ! Our vision and mission is to be your top reliable supplier through exceptional service and over all value,We're well on the way. : 2. Delivery terms: * By express, will take 3-5 days to delivery. 2. We can offer both OEM and ODM service according to customers' request. 3. If novelties exist in any non-human-made problems, please contact us at your first time and we will offer you asatisfactory solution according to actual situation. 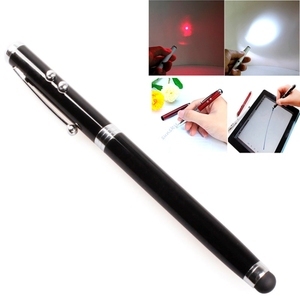 Wenzhou Lebang Optoelectronics Technology Co., Ltd.
2018 new product 4 in 1 Multifunction Pen: Capacitive Stylus Pen + Ball Pen + Red Laser Pointer + White LED Flashlight Description Features 1. Suitable for: iPad / iPad2, iPhone 3 / 3GS, iPhone 4, Samsung P1000, MOTO XOOM, Tablet PC, MZ606, HTC phone, capacitive screen, etc. 6. Ballpoint pens can do meeting minutes 7. Try it on the capacitive screen phone, using your fingers is the most convenient, but the fingers blocks sight easily, it is necessary to come with a good handy pen. It can perfectly replace fingers, the feel as a general pen to write on paper 8. Multifunctional, convenient and practical 9. Suitable for lots of capacitive screen phones, such as iPhone, Samsung, HTC, MOTO and other mobile phone. 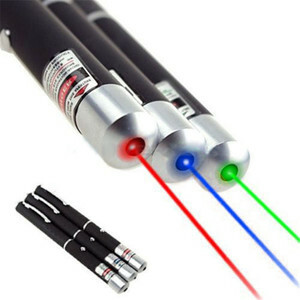 Alibaba.com offers 1,373 laser pen flashlight products. About 36% of these are led flashlights, 1% are flashlights & torches, and 1% are led headlamps. 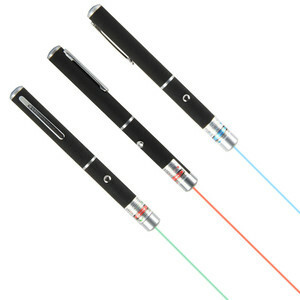 A wide variety of laser pen flashlight options are available to you, such as ce, ccc, and bv. You can also choose from aaa, ni-mh, and aa. As well as from free samples, paid samples. There are 1,296 laser pen flashlight suppliers, mainly located in Asia. The top supplying countries are China (Mainland), Hong Kong, and Singapore, which supply 99%, 1%, and 1% of laser pen flashlight respectively. 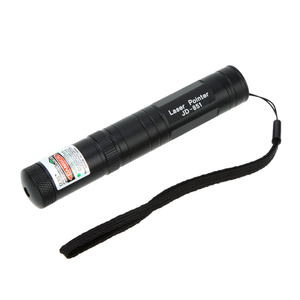 Laser pen flashlight products are most popular in North America, Western Europe, and South America. You can ensure product safety by selecting from certified suppliers, including 95 with Other, 81 with BSCI, and 51 with ISO9001 certification.